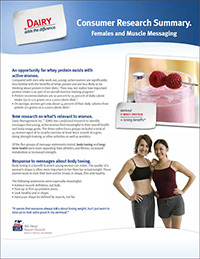 An opportunity for whey protein exists with active women. Compared with men who work out, young, active women are significantly less familiar with the benefits of whey protein and are less likely to be thinking about protein in their diets. They may not realize how important protein intake is as part of an overall exercise training program.